In terms of air quality, if you were to consider a non-electrical ventilation system full time, or just during the summer months, is there a device that can be installed, to test air flow, so that you can ensure an air flow rate of 30m3/h/person? Yes, you can fit flow rate meter inside a stack ventilation system to ensure that the flow meets target. However, in summertime you will frequently get conditions of “inversion” in houses whereby the air temperature outside a NZEB house is higher than it is inside. Essentially, the super insulation works to ensure that the heat of the day is kept out. Under those circumstances, the air buoyancy which is needed to drive stack ventilation is simply not present. The balance of air movement is, if anything, reversed (inverted). This is a real problem. This problem was well understood by Victorian engineers and architects used to ensuring that the “draw” on a chimney was available in all seasons. For Victorian industrialists, there was an economic imperative involved: if the coal in a boiler was not able to burn brightly due to inversion conditions causing a lack of oxygen for combustion, the factory would have to shut down due to insufficient steam to run all of the machinery required. Victorian chimneys used for ventilation (Dublin’s Mountjoy prison has two famous ones either side of the entrance block) are several storeys high, certainly at least three storeys higher than the highest extract point. Chimneys for industrial boilers were significantly higher and always required dampers to reduce excess airflow in winter. The inmates of British prisons of the era attest to the additional bone-numbing chill this induced in winter. As a rule-of-thumb, if you want a ventilation system to work by natural means only in a first floor bathroom in Ireland/UK all year around, you will need something like a five-storey high stack. Good luck with that. But from an energy viewpoint, such a high stack will provide significantly more ventilation than is required when there is a significantly lower temperature outside than inside. Measurements of the impact on ventilation rates in Georgian houses, shows that there is nothing which will extract all of the heat out of a house as quickly as a Georgian fireplace. Unpublished research indicates that under normal winter weather in Ireland (cold and windy) a Georgian fireplace is several orders of magnitude more powerful than even designed whole-house electrical extract ventilation at full power. Yet, that same chimney may fail to provide sufficient airflow for ventilation under still air conditions in summertime. There are hybrid ventilation systems available (integrating the likes of Aereco’s VBP Plus hybrid assistance fan) which fit an extract fan to the top of a chimney or vent and constantly work out whether the fan needs to come on using what is effectively a roof-mounted weather station – either a cup anemometer or pressure or temperature sensor. When the flow rate falls below minimum level required to achieve 30m3/h/p (or any set point) the fan cuts in, creating an artificial draught. The grills in individual rooms can also be controlled by moisture and presence sensors, as is necessarily the case with the likes of Aereco. 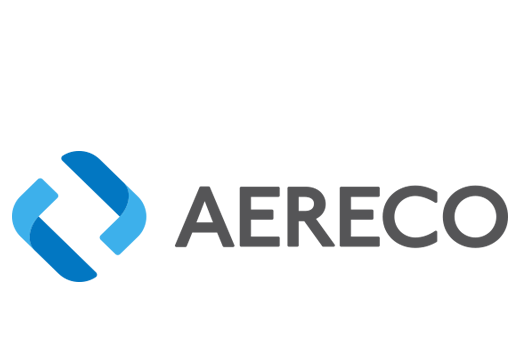 Most of these systems do not have the ability to set a maximum flow rate and tend to over-ventilate during windy weather in winter, though Aereco report that the aperture of their room vents reduce when rooms are adequately ventilated. Such systems were developed for ventilating apartment buildings in continental Europe. Vertical ventilation shafts usually penetrate fire compartment floors and will, therefore, be required to comply with building regulations requirements on fire safety. 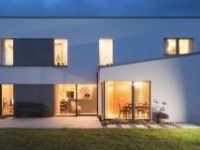 By comparison, DCMEV or MVHR systems are robust, cheap, reliable and exceptionally energy efficient, which is why the passive house standard has adopted the latter as the only systems it considers effective. Systems combining the best aspects of demand control (only ventilating occupied rooms) and heat recovery (reclaiming heat from exhaust air flow) are becoming available and promise even greater efficiencies than the 96% currently available with whole-house MVHR. Distributed MVHR systems are also available which essentially operate as single room MVHR systems (Lunos, for example) and are particularly suitable for retrofit situations. Given climate change predictions for increasing summer temperatures and more frequent storms, and the warnings of seasonal overheating in NZEB construction, it is worth modelling ventilation systems for different climate data sets at the design stage. The climate of London, for example, is predicted to be close to that of Marseilles in the south of France by the end of the current century. Ensuring that there is a mechanism to automatically bypass the recovery of heat from exhaust air in MVHR systems in summertime should be considered a minimum requirement. 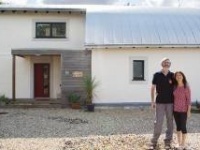 These bypass systems are often triggered during sunny weather in spring and autumn within passive houses, even before climate change impacts are accounted for. So-called “natural” ventilation based on hit-and-miss trickle vents in windows or walls is a joke, it simply defies the laws of physics and of human physiology: the vents don’t work when they are closed and sleeping humans cannot detect when they are suffering from CO2 poisoning. Such “natural” ventilation systems based on wall vents and/or stack effects are not supported by any empirical scientific evidence of their year-round effectiveness. Recent evidence from the UK gives cause for grave concern, particularly in combination with NZEB construction. 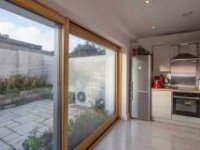 There is a need for research to establish if such “natural” ventilation systems in residential buildings actually kill more people than they save – see my article in issue 7 of Passive House Plus for a more in depth discussion of this point https://passivehouseplus.ie/magazine/ insight/airtightness-the-sleeping-giant-of-energyefficiency . My personal view is that Part F of the buildings regulations (UK and Irish) is not currently fit for purpose and will become even less fit as we embrace NZEB construction and adapt to climate change, a veritable double-whammy of impacts on indoor air quality. 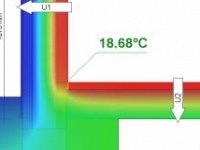 As if to underline this point, the directors of at least one international commercial certification body, who operate a credible independent building certification system in Ireland, state that their risk assessment process often highlights that designers and clients should consider mechanical ventilation as natural ventilation, poses a number of serious compliance issues with Part F and L.
Part F minima are very far from current best practice in relation to residential ventilation specification and there is an urgent need to “raise the floor” on ventilation regulation.